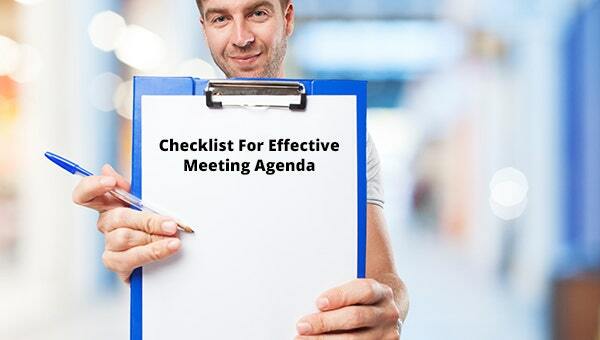 Checklists are very important for the smooth execution and implementation of meetings. Along with keeping you on track without missing out on any crucial information, checklists also work efficiently by saving the time and money of the participants. Irrespective of the nature of meeting, there are generally three stages of a meeting. All the three stages are interdependent and would not be sufficient and constructive without the other. As each stage holds a vital importance in the meeting, we will elaborate separately on all the stages with a specific checklist catering to each category. Define The Goal: The first step when you decide to plan a meeting, it is to determine the goal for the meeting. This will largely act as the central plot for the whole discussion in the meeting. Select The Participants: You need to decide who is going to be the facilitator, the expert & the distributor in the meeting. Selecting the right candidates based on their specific skill is a crucial task for the better understanding of the meeting. Decide The Form of The Meeting: Plan on how you will conduct the meeting whether it will be a face to face meeting or web conference. This will help you decide on the material required for the meeting. Set The Date And Start And End Time: Make sure you plan and decide the time and date of the meeting well in advance. This will ensure that the participants block their calendars accordingly. Distribute Agenda And Provide Supporting Material in Time: Make sure you distribute the work agenda before the meeting so that the attendees know the points to be discussed. Designate: Try and designate one person to take notes during the meeting. Consider rotating this function for every meeting. Right On Time: Make sure you start the meeting right on time. Send a message to all the members to be prepared in advance. Repeat The Goal of The Meeting: Try and repeat the goal of the meeting for better understanding by the attendees. Give Updates: Try and provide updates on tasks from previous meetings. This will help the attendees to brush up on the developments in the project. Follow The Agenda: Make sure you stick to the project agenda designed for the meeting. This will keep the meeting focused and attentive. Take Notes: Make sure to take notes and distinguish clearly between informational notes and decisions. Assign: Assign one task to each person and set a due date for each task. Follow-Ups: Schedule follow-ups for the meeting and discuss the new topics for the next meeting. Distribute minutes of the meeting as soon as possible. Communicate the tasks to owners. Track the tasks and follow up, if not completed by the given period of time. Ground rules help to create a productive environment and also ensure that all the members of the meeting can contribute in a meaningful way. No cell phones– This will help to ensure that the team members are not busy fiddling with their phones. Proper Communication– Make sure there is proper communication between the members to reach to one final and common decision. No Side Conversations– Try and ensure that there are no side conversations going on during the meeting. How To Conduct Effective Meetings?